Officials have said that Pakistan military has violated the ceasefire on forwarding Indian posts that are located on the International Border (IB) in Jammu and Kashmir’s Kathua district. The fire exchange happened in the Hiranagar Sector, officials have added that there were no casualties reported by the Indian Army. In the past 6 days, Pakistan has violated the agreement in this sector for the 3rd time. Vinay Prasad, an Assistant Commandant of the BSF (Border Security Force) was snipped down by the Pakistan army on Tuesday, he passed away on the spot. 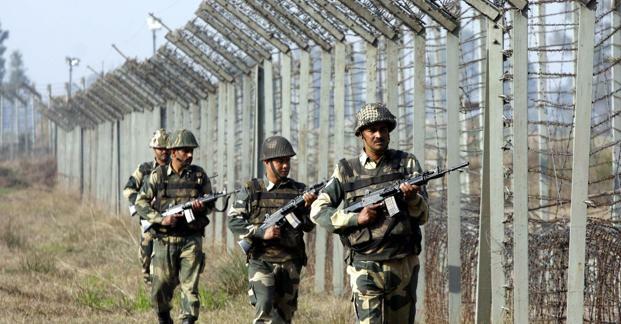 The Pakistani Army has also violated the ceasefire agreement in the LoC (Line of Control) in the districts of Poonch and Rajouri, since New Year 2019, Pakistan has fired almost every day at the Indian troops. One Army porter was killed on January 11, this happened when the exchange fire between Pakistan and India. A major and 2 army personnel were also killed when an IED (Improvised Explosive Device) detonated in the Rajouri District in Loc on the same day.